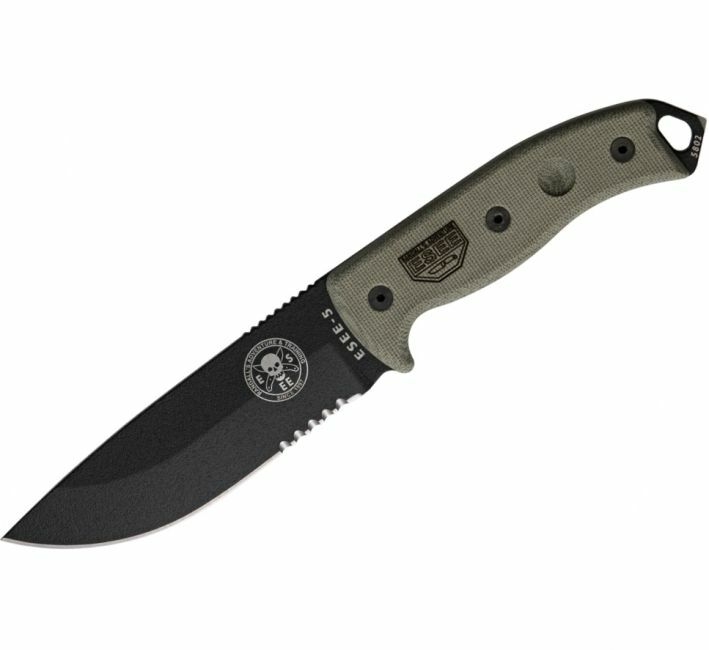 Designed by Air Force SERE Instructors this is one serious piece of kit that should be an addition to anyone's survival kit! 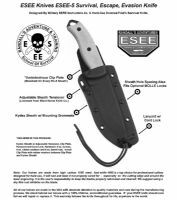 The ESEE-5 is a brilliant knife for your survival kit and has the bombproof build quality that we really like. This bad boy is designed to take some serious abuse and is packed with features. If you could handle this you would buy it, instantly, as you will know that it is one serious piece of kit designed for serious use. It is designed by US Air Force SERE instructors and should be what every survival knife aspires to. It is a great size and is just the sort of product you would happily add to any Survival Kit or Go Bag and similarly use as a general propose knife for camp duties and general use. 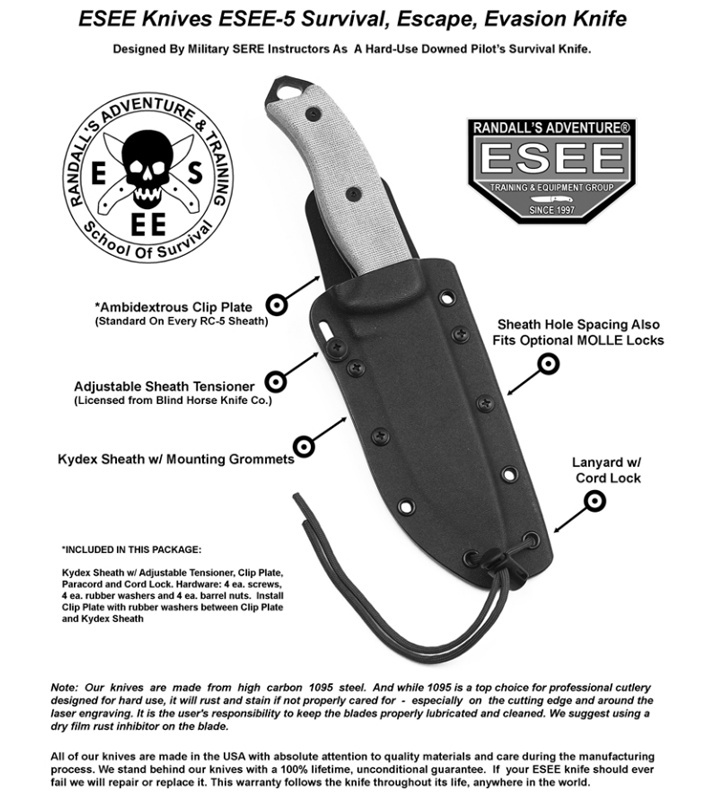 This really conforms to our ideal that if a knife is brilliant for one use you can be 99.9% sure it is going to be brilliant at just about anything you set it to. 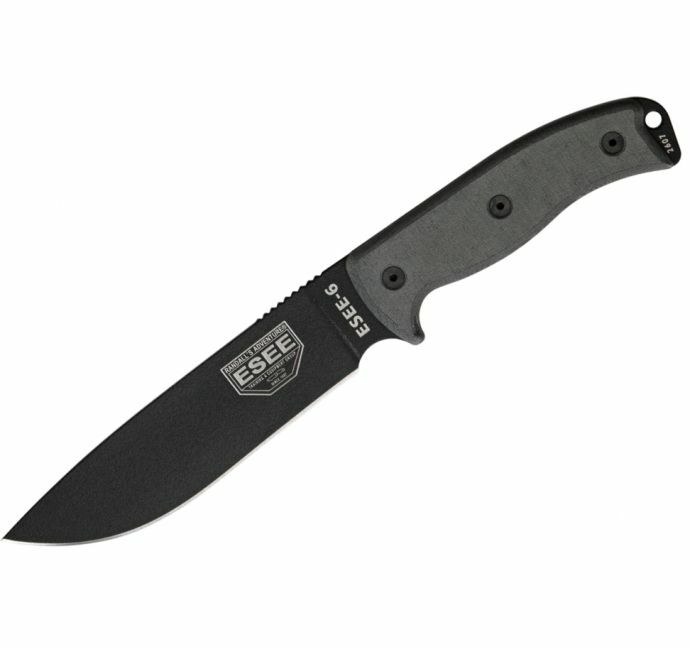 Please bear in mind that ESEE knives are made from Carbon Steel which is the perfect balance for edge holding and toughness but does need a little maintaining, we recommend simply cleaning it after use and oiling it with gun oil to help prevent corrosion. What a bruiser! 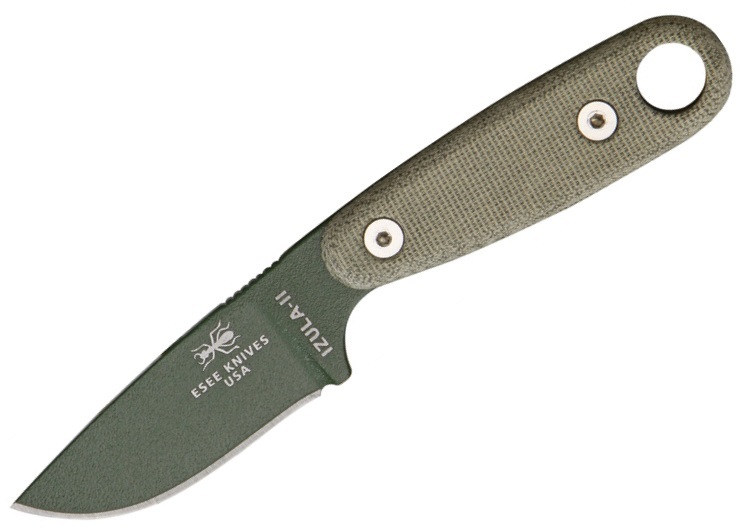 This knife feels like you could pry off a tank track. Definitely the strongest knife i've ever seen.